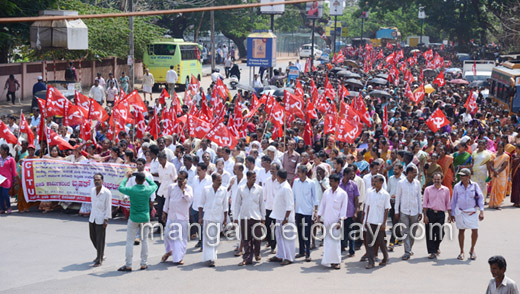 Manipal/Mangaluru, Mar 18, 2015, : Udupi District Beedi Workers Association (CITU), and with Udupi Taluk Beedi Labour Union (AITUC), staged massive protest demanding the government to withdraw the new ordinance paving way for ban on beedi industry. 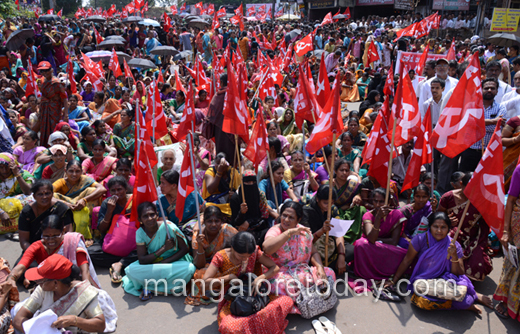 Submitting a memorandum to the Prime Minister through Deputy Commissioner, Udupi District Beedi Workers Association (CITU) President Mahabala Woder Hobali alleged that the BJP led NDA government is pursuing anti labour policy. There are nearly four and half crore beedi workers in the country and nearly 10 lakh beedi workers in State. The proposal from the government to amend the Cigarettes and Other Tobacco Products Act, 2003 is truly detrimental to the existence of the beedi industry. He said if the proposed amendments are strictly implemented, the huge populace of the beedi workers would end up jobless. The amendment supports the idea of undeclared ban on beedi industry. He demanded that the government should revise the amendment proposal and withdraw the recommendations that are found to be unscientific. Instead, the government should contemplate on ensuring better living conditions to the labourers who strive hard for a livelihood. Rehabilitation demand : He said the government should contemplate offering rehabilitation to the beedi workers who are on the verge of becoming destitute. 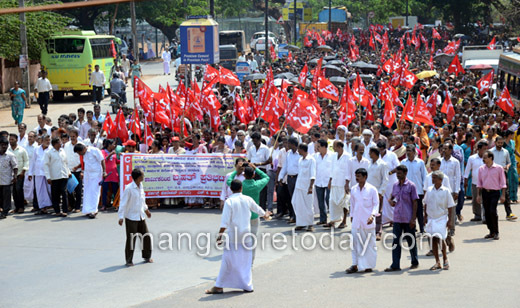 He said the government should provide BPL cards and houses to the beedi workers. ID cards should be made available for all the beedi workers. He demanded the amount collected through cess should be utilised for the welfare of the beedi workers. The student scholarship for the children of beedi workers should be increased, besides the workers and their families should be offered health care benefits, he added. CITU DK District Secretary Balakrishna Shetty said the beedi industry is a large industry, which supports the national economy. The government has to immediately withdraw its decision to bring in the amendments and drop the proposal that would support the idea of privatization of the industry. He said before embarking upon drastic measures, the government should also mull over the possibilities of crores of people ending up unemployed. He also demanded that the government should decide over the alternative employments for the beedi labourers. The beedi industry exits in 23 districts in State. There are 1.5 lakh beedi workers in Udupi district. 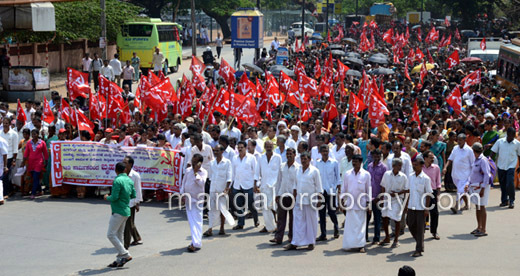 Of which there are 70000 workers in Karkala, nearly 50-60,000 workers in Udupi and 20,000 workers in Kundapur, he added. The agitators are also planning to take up door-to-door campaign drive against the government’s decision and a ’Vidhana Soudha Chalo’ jatha will be organised in the month of April, he indicated.